Automobile parts come in a few varieties. 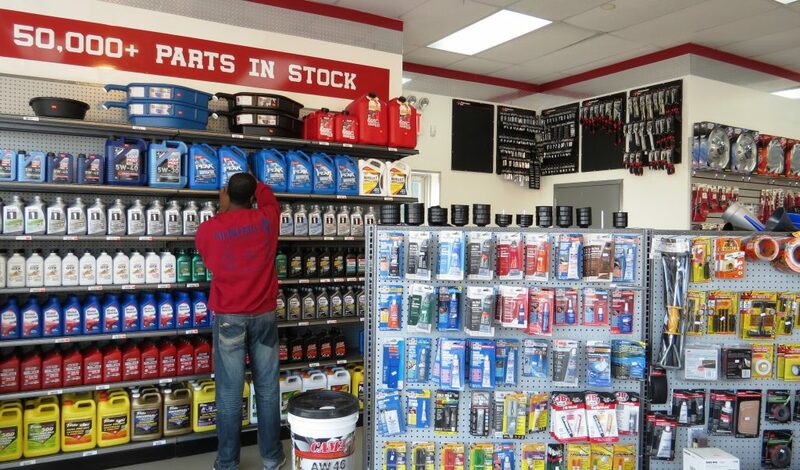 They’re categorised as OEM, new old stock, used, and aftermarket. Each category has its advantages and disadvantages. You have to prioritise certain aspects of the different types of parts. For example, if you prioritise prices, you need to look for used parts. If you prioritise reliability, new parts are the most reliable. OEM stands for original equipment manufacturer, and refers to auto parts that are made by the original manufacturer of the vehicle. For example, Toyota parts produced in the factory for Toyota vehicles are considered OEM. These parts tend to be very reliable and they are the least hassle. If you have a 2005 Toyota in need of new spark plugs, you know that buying OEM spark plugs will solve your problem. They are guaranteed to fit, but they are sometimes slightly more expensive, and they are sometimes not the best quality. Original manufacturers will often use lower quality materials in order to keep their prices down. Aftermarket parts are the opposite of OEM parts. These are parts that are designed for specific vehicles, or to fit specific specifications. They are not quite as guaranteed to work because you might not have as much faith in the manufacturer. They can sometimes be cheaper than OEM parts because they are sometimes made of even cheaper materials. Other aftermarket parts are superior to OEM parts, because they are made to boost performance. New old stock refers to products made by the original manufacturer, but sold by someone else. The most affordable parts are used parts. However, they have the biggest risks, since you might not know if you trust the quality of different used parts. Wreckers in SA can sell you used parts that you can trust. If you’re looking for used parts, you should look for a wrecker who maintains a yard. Also, you should look for one that has a long history in the business. If they have been in the business for a long time, they are likely providing a quality service and have connections to many quality suppliers. You need to buy your used parts from a certified professional wrecker, though. When you buy parts from a private seller, they might offer you a great price, but they can’t guarantee that the parts will work as described. Also, they won’t have the expertise to fix any problem that might arise. A professional wrecker, who specialises in used auto parts, will have access to more parts than a private seller as well. They will be able to collect parts from hundreds of different types of vehicles. Also, you will be able to get much more affordable parts. If you’re looking for affordable or rare parts, you need to consult with a wrecker. Vehicles change subtly from year to year. The parts that fit one model year might not fit the model from the next year. That means it could become difficult to find parts for your vehicle, but a professional wrecker can help you find hard to find parts.